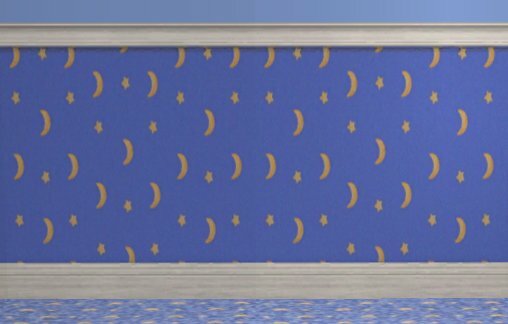 Ever notice how the Kxiddly Wallz match your blue moons nursery perfectly...except for that darned wooden molding? 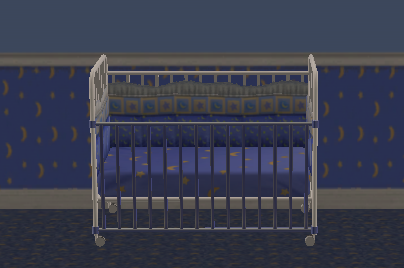 The crib has a white metal frame. So does the changing table. All those matching curtains you find have white bars, and all the matching potties have white lids. There's no beige in your nursery at all, and it stands out like a sore thumb. Well, here's the solution! 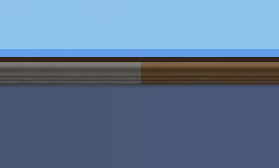 The exact same wall...with white wood! We all know Maxis content is very talented at being just what you need...except for some detail or another that drives you crazy. 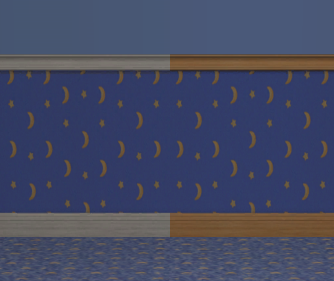 This wall was no exception, and even though it took all of five minutes to do, I felt it would be a public disservice to keep this recolor to myself. Enjoy. 111 people have said thanks to Kestin for this download.